At a height of 1050 metres AMSL, the Consuma Pass, Passo della Consuma, separates the territory of Florence from Arezzo’s lush green valleys of the Casentino. On one side the Nature Reserve of Vallombrosa, on the other the National Park of the Casentinesi Forests. Kilometres of wild landscapes and luxuriant vegetation. Here is where the residents of Florence escape to during the summer in search of cool air, peace and quiet, gorgeous views and mouth-watering dishes at one of the local restaurants, especially if the mushroom season has been generous. In winter the Pass is covered in snow and the Florentines flock here for walks along the trails and then scuttle to heat themselves in front of the fireplaces in the restaurants with a delicious dish of chestnut and mushroom soup or a Florentine steak covered in mushrooms. 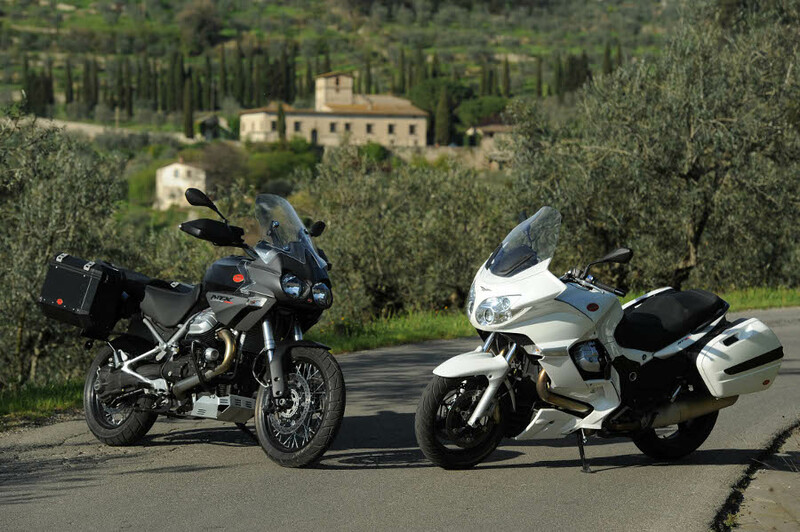 From spring, instead, the Pass is the acknowledged destination of bikers, be the bike with or without engine. The slope is a real challenge for those on bicycles, a delight for legs and lungs, while the long winding road is the natural gymkhana of all motorcyclists. Generally they stop right at the top, where the Pass road sign is, in front of a wooden chalet which offers beers, wine, focaccia and bruschetta of all kinds and obviously a breathtaking view. 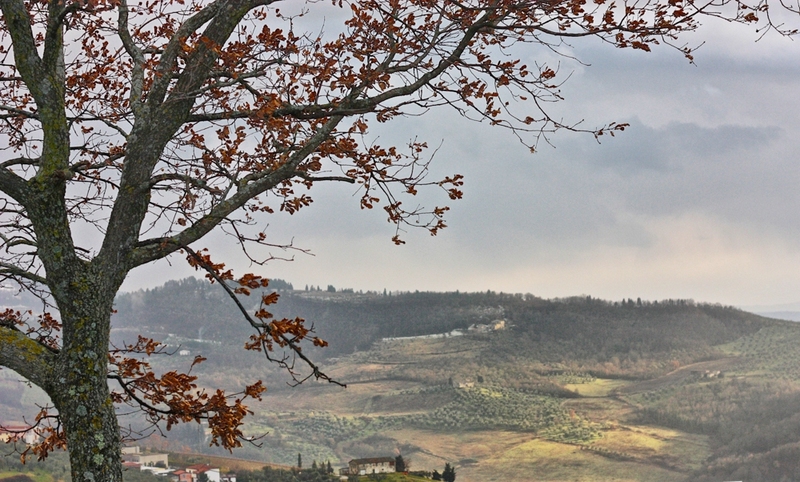 Coming up from the Florence side is the tiny village of Borselli, part of the commune of Pelago. Descending down a tree-lined lane visitors will be pleasantly surprised to observe a charming 15th century stone farmhouse, perched like a castle overlooking the most picturesque stretch of the Pomino and Rufina wine trail. This magnificent mansion has 6 self-catering flats, a swimming pool and is surrounded by 20 acres of chestnut woods and olive groves. At only 28 km from Florence, the farmhouse is in the perfect position for visiting the famous art town and surroundings or just explore the countryside on horseback or by foot. The place is also the perfect setting for a romantic wedding. Furthermore the Anglo-Italian hosts offer a wide range of activities amongst which a cooking and wine experience, horse trekking, painting lessons and mind and body workshops with yoga and Tai Chi. 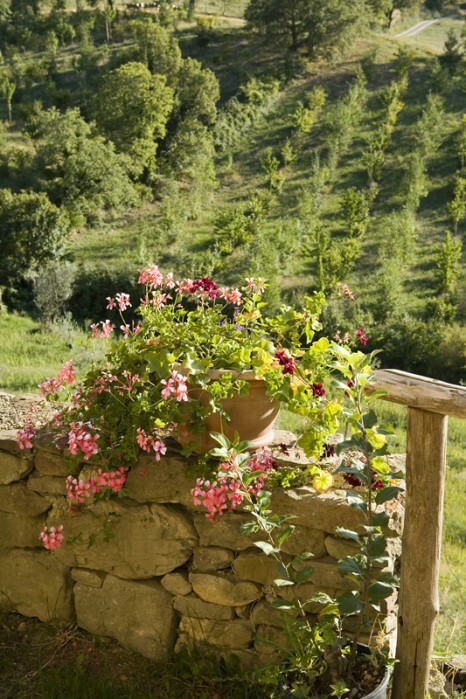 Simple pleasures to make your stay in Tuscany very special. Questa voce è stata pubblicata in Accommodations in Tuscany, Culture and accommodations in Tuscany, Tuscan lifestyle, Villas in Tuscany e contrassegnata con Arezzo, Borselli, Casentino, Florence, Passo della Consuma, Pelago, Vallombrosa. Contrassegna il permalink.